As part of our ongoing challenge to read through The Bestseller Code 100, let’s take a look at State of Wonder by Ann Patchett from the writer’s perspective. Ann Patchett’s novel falls into the literary fiction category (If you aren’t familiar with the difference between literary and genre fiction, for a short discussion try this article, or Jennifer Ellis for a more in depth version). Literary novels are more likely to be theme driven than plot driven, they focus on the interior life of the main character, and they often have a gentler final climax. They also may have a more convoluted narrative with flashbacks and other devices, rather than progressing in straight chronological order. How does State of Wonder fit these guidelines? Like with genre fiction, we can find certain character archetypes. The protagonist or main character in the novel is Dr. Marina Singh, a research scientist working for a drug company in Minnesota. She is sent to the Amazon to find her mentor, Dr. Annick Swenson after her co-worker, impact character Anders Eckman, died looking for her. Mr. Fox is Marina’s boss and love interest, at least at first. Not all the archetypes, however, are clearly defined. There is no antagonist, at least in the form a person. One could say the role of the antagonist was played by the Amazon jungle. At times Dr. Swenson seems like an antagonist, but she’s really a mentor. In true literary tradition we spend a lot of time getting to know Marina’s innermost thoughts and feelings. Readers who prefer genre fiction might be puzzled by Marina as a protagonist because she is passive/submissive until the very end of the novel. She doesn’t want to go to the Amazon, but she doesn’t protest when her lover — whom one would think she could reason with — sends her. She is supposed to locate Dr. Swenson, but stumbles on her by accident when she ends up seated in front of her mentor at an opera. Dr. Swenson solves the most significant mysteries in the story, including the one critical mystery Marina could have easily solved. At that point in the story Marina was poised to grow. Why didn’t Patchett let her solve the mystery of what happened to Anders? What did you think of Marina as a protagonist? Patchett disregards some writer’s conventions. Beginning writing instructors teach their students to avoid naming their characters with similar sounding or appearing names because they can confuse readers. In fact, they recommend not even starting the names of characters with the same letter. In this novel Patchett has characters named Annick and Anders, perhaps particularly significant because her own name is Ann. Readers may also have to concentrate to keep Dr. Swenson and Dr. Singh straight. Fortunately when the two characters are together Patchett often uses “Marina” and “Dr. Swenson,” which emphasizes the difference in their positions. Did you have any trouble with the similar look of some of the characters names? Did it make reading the book more difficult for you? “I lost you,” Marina said finally. Unlike Lehane who used dialogue to develop character in Shutter Island, much of Patchett’s character development comes through clever descriptions. Marina had had many friends in her life who could recite the periodic table from memory but not since high school had she had a friend with a particular talent for hair. Setting has a huge impact in this novel. The story starts in Minnesota, where it is snowing. Outside the snow had been falling in wet clumps long enough to bury every blade of new spring grass. The crocuses she had seen only that morning, their yellow and purple heads straight up from the dirt, were now frozen as hard as carp in the lake. Writers should not only describe the setting, but also convey how the character feels about it. Although the above description sounds a bit negative, the readers soon learns Marina loves Minnesota and took her current job so that she could live there. Opposed in every way to snowy Minnesota is the steamy heat of the Amazon jungle where Marina goes to find her mentor. 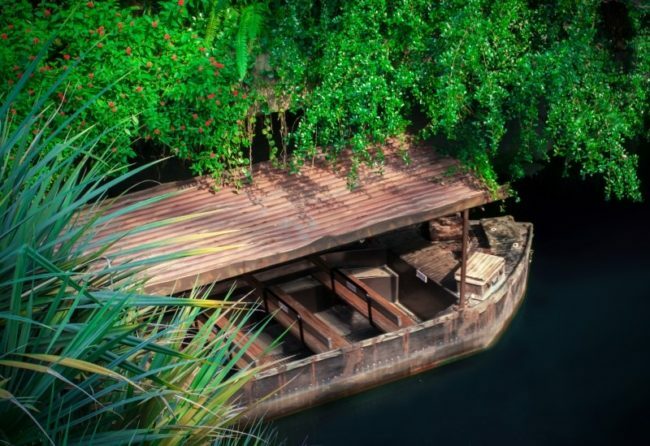 Before writing this book, Ann Patchett took a boat trip down a river in the Amazon rainforest. Her experience allowed her describe the settings with spine-tingling detail. There was too much coiling and uncoiling for an accurate measurement but the snake appeared to be fifteen feet long, eighteen when stretched…Marina wanted to jump in the water and to run across the lettuce with the long toed birds, but who would say the snake didn’t have a family down there? This theme continues when Marina finds out Dr. Swenson is working on a medicine rife with ethical complications because it could allow women to remain fertile into old age. Towards the middle of the book the contrast is evident when Marina drinks a concoction that makes her deathly ill for a short period of time but cures a chronic fever she had been suffering from. Another theme is more subtle, and is best illuminated by an understanding of the author’s personal life. Ann Patchett says she chose not to have children (Guardian article.) Throughout the book Marina wrestles with how being pregnant and having children effects women. Numerous times Marina mentions that she went to the Amazon to find out what happened to her co-worker Anders Eckman because she could, whereas his wife Karen couldn’t go look because she was encumbered by their children. Later, Marina must perform a C-section on a woman because Dr. Swenson is physically incapable due to her advanced pregnancy. It seems women who reproduce have to pay a cost. What did you think of this theme? The author’s voice (word choice/language) is the dressing on the novel salad. Ann Patchett has a one-of-a-kind voice. Her sentences are sometimes like thick vines, twisty and dense as the jungle she describes. … or so a tourist had told Marina one morning when she stopped to take a picture of it with her phone. I actually paused. A phone that take photographs? Wait, this novel is supposed to be set in modern day? Somehow it seemed incongruous. Of course the protagonist flies to Brazil on a plane, so it must be modern day. Maybe I was channeling Green Mansions, which also had vibrant descriptions of the jungle. In any case, I had been taken to another time as well as another place. Overall, State of Wonder is a literary work and as such may be less “accessible” than genre fiction. 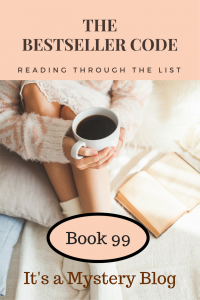 It can be instructive to compare the two writing categories to see how the themes, the pacing, and the characters are all handled differently, especially since a number of the books on The Bestseller Code 100 list seem to bridge between literary and genre fiction. The next book is number 98 on the list, Primary Colors by Joe Klein (1996) – Discussion began December 5, 2016.